Become our Fan on Facebook. Type at least 3 letters and we will give you a list of suggestions. On business days (not including Saturday) we will ship the same day if you order before 3pm. You may return your order up to one month after ordering and will get your money back immediately. For a small fee of EUR 2 you can pay 14 days after delivery. For an additional EUR 9,90 we will ship next day before 12pm if you order before 3pm and in Germany. The independent company Trusted Shops tested our store and offers you a money-back guarantee in case we will not pay. You can pay per invoice, debit, prepayment, credit card, PayPal, cash on delivery or cash on site. In the shopping cart, you can choose gift wrapping for all of your items. When ordering, you can choose if you want us to attach a message instead of the invoice. Enjoy cruelty-free turtle soup. Or coffee ;). This picture does not belong to the selected variant. Suitable pictures are highlighted below. Deine Auswahl ist leider nicht verfügbar. Wir haben daher Deine Auswahl angepasst. Add to Wishlist Zum Wunschzettel Got a question? Don't worry, you have nothing to fear. Come out from under your desk. For a change, the red Koopa shell from the Super Mario games does not want to kill you, kick you off a cliff or even injure you in any way. It only wants to refuel your body and fill you with new energy! 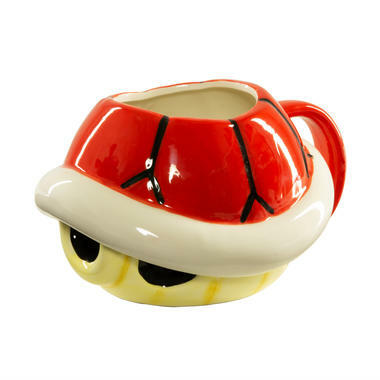 The suddenly non-violent Nintendo Super Mario Turtle Mug offers you ample space for your favourite beverages with a whopping 650 ml capacity. And did we mention that it is completely harmless? To you, at least. You can still throw it at Bowser and minions if they decide to bust in and ruin your breakfast  just remember to drink all the coffee beforehand! 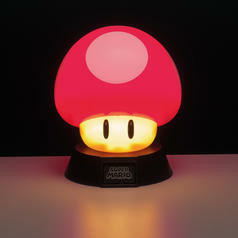 156 SEK lade... Nintendo Super Mario 3D Mushroom Light The nerdy power-up for your lighting! 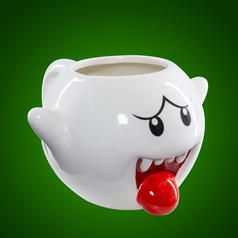 396 SEK lade... Nintendo Super Mario Boo Mug Even incorporeal ghosts enjoy a hot coffee from time to time. 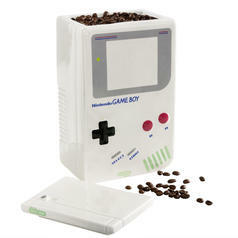 522 SEK lade... Nintendo Game Boy Cookie Jar / Coffee Canister Tetris? Never heard of it. I only play 'snack-ris'! 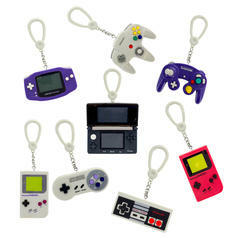 83 SEK lade... Nintendo Consoles Backpack Buddies These miniature consoles and controllers are a must-have for gamers! 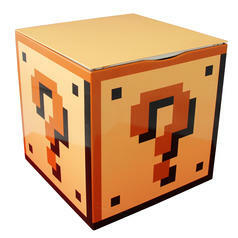 167 SEK lade... Nintendo Super Mario Question Mark Box Not only meant for mushrooms and stars. 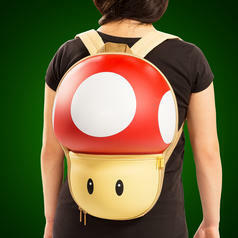 34 SEK 156 SEK lade... Mushroom Backpack Something has grown on your back. Looks like a cool Mushroom backpack! 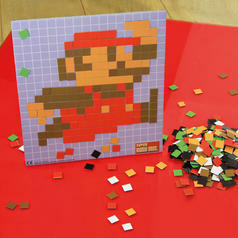 83 SEK lade... Nintendo Super Mario Pixel Craft It's-a me, Magnet-io! in the shopping cart to allow a discount. The offer is valid with a minimum order of 5 EUR. This includes a surcharge of 3EUR.In addition we charge 3,95 EUR for shipping. 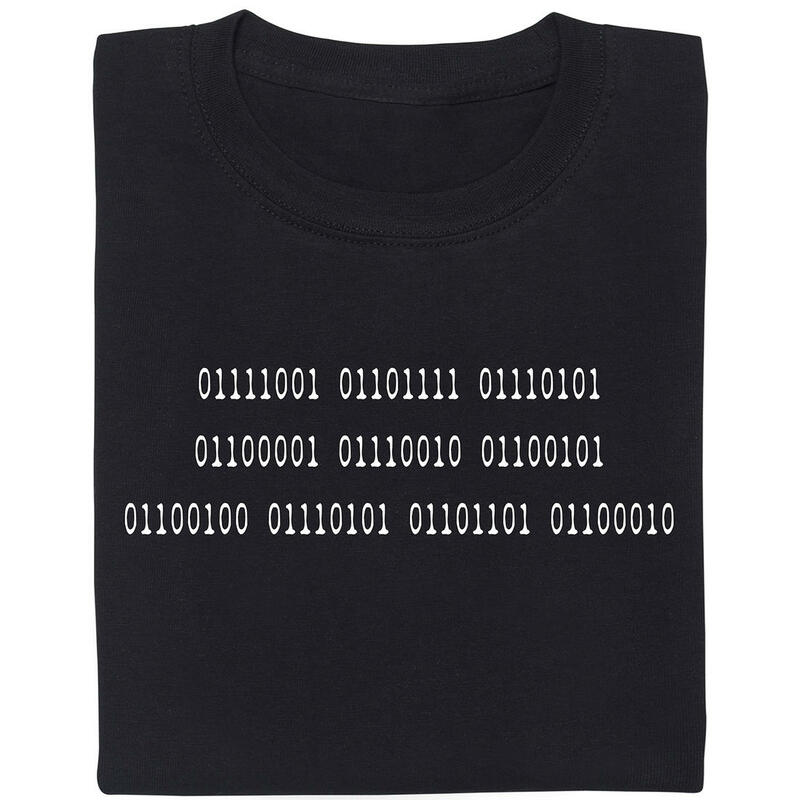 If you order this tee, you`ll have to pay 9,95 EUR (including shipping). We at getDigital love being nerds! That's why we've created the Nerd Community. Subscribe now and get info about new products, bargains and campaigns once a week. Almost done! Have a look in your mailbox. You've got an e-mail with a link - please click it to confirm your subscription. Oh no! Your e-mail address seems to be invalid. Oops! Sorry. Something seems to have gone wrong. Please try again later, will you? You'll receive our newsletter approx. 4 times a month, which contains info about new products or other news regarding our gadgets and clothes. You can unsubscribe at any time on our website. You got your own ideas?